After sinking eight years and more than $8 billion into the effort, Shell Oil is pulling out of the Arctic Ocean. The company dropped the surprising news in a Sunday-night press release. Shell officials said the company safely drilled a well more than mile beneath the floor of the Chukchi Sea this summer. They found indications of oil and gas there, but not enough to warrant further exploration. Meg Baldino is spokesperson for Shell Alaska. Oil prices have plummeted in the past year. A bonanza of fracking in the Lower 48 has made costly oil from the Arctic Ocean less attractive as a global commodity. The announcement comes as Shell’s window for drilling in the brief Arctic summer draws to a close. Baldino says about 400 people work in Anchorage on the Arctic drilling effort. Up to 3,000 Shell contractors are working in the field at any given time. 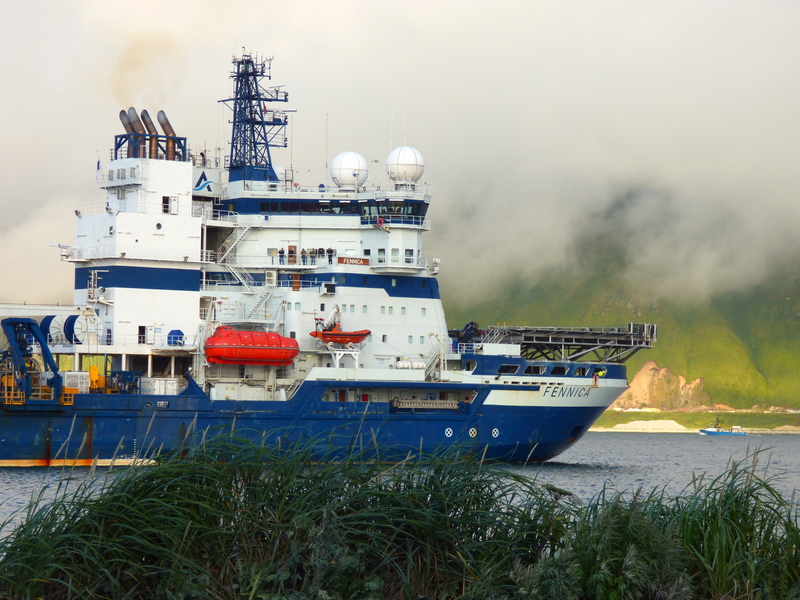 Two drill rigs and much of the 30-vessel fleet are still in the Chukchi Sea. Gov. 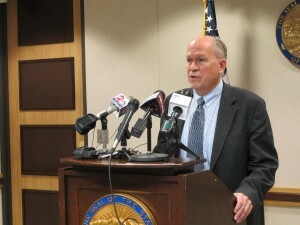 Walker addressed the media on Shell’s decision to pull out of the Arctic on Monday, Sept. 29. Photo: Annie Feidt/APRN. “It’s really a shocking development,” says Michael Levine, an attorney with the environmental group Oceana in Juneau. Environmental groups had been pushing unsuccessfully for the Obama Administration to block the drilling. Instead, the Obama Administration gave Shell the green light. The Interior Department did require Shell to keep its rigs at least 15 miles apart if they were drilling at the same time. That was done to protect walruses in the area. Shell has spent one point four billion dollars this year alone in the Arctic. The company cited high costs as well regulatory uncertainty for its decision to quit the Arctic. Alaska’s Congressional delegation blamed Obama Administration regulations for the sudden end of Arctic offshore drilling. 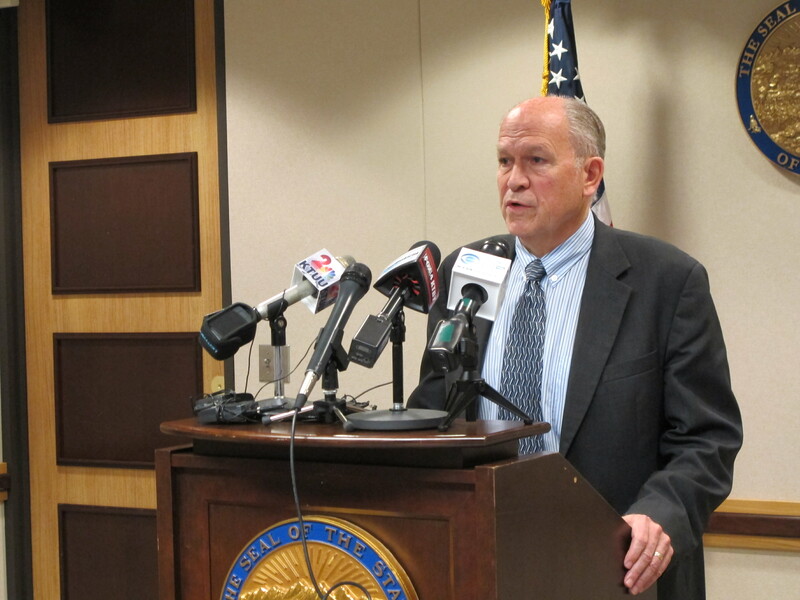 Governor Bill Walker also faulted the regulations. 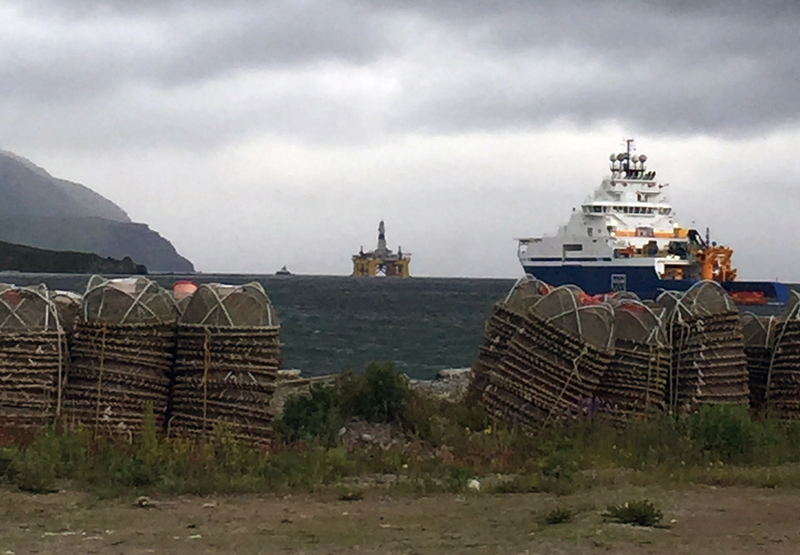 Shell’s Fennica vessel ran aground in Dutch Harbor over the summer, causing further delays in drilling. Photo: John Ryan/KUCB. This year, one of its icebreakers was on its way out of Dutch Harbor when it tore a three-foot hole in its hull. “It hit a rock,” says Dan Magone. He supervised the vessel’s temporary repair work in Dutch Harbor. “We would’ve gotten them squared away and on their way within a few days. The complication was that they were under contract to Shell. So the level of scrutiny and Shell’s bureaucracy turned it into this great big deal, you know? [Shell’s bureaucracy?] Makes the government look like pattycakes,” Magone laughs. That ship went to a dry dock in Oregon for permanent repairs before returning to the Arctic. That cost Shell several weeks of its summer drilling season. The company expects to take a $4 billion hit on its balance sheet from shuttering the project. Shell’s stock price was down 3 percent at the close of trading on Monday. Any impacts on Alaska are probably more long-term than short-term. Any oil from Shell’s Arctic venture would have taken about a decade before it wound up in a pipeline or anyone’s gas tank.